Hostelgate Private Rooms, a hostel of private rooms. 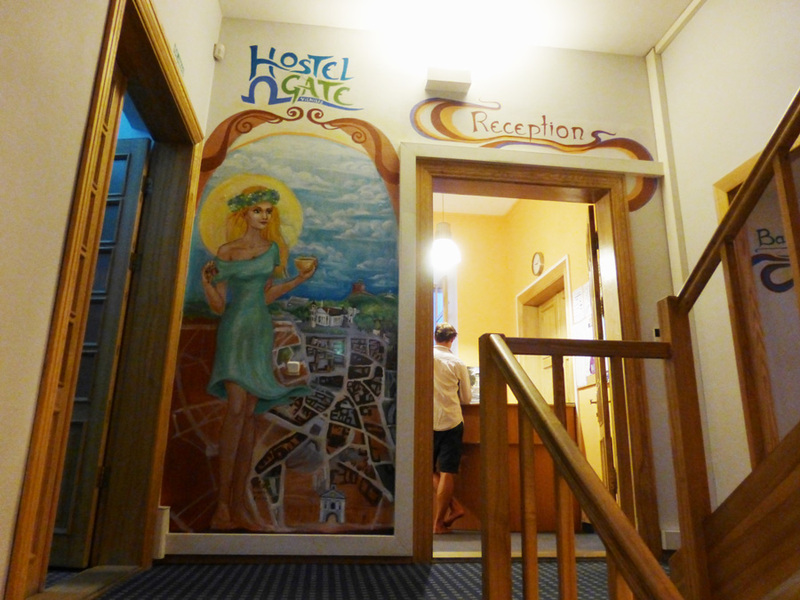 Happily, the manager told us about their other Hostelgate accommodations — Hostelgate Backpackers. Hostelgate Backpackers is an ideally located hostel right on what I think is the main street of the old city, near old the city gate, the Gate of Dawn (built 1503-1522). It’s a historic street. 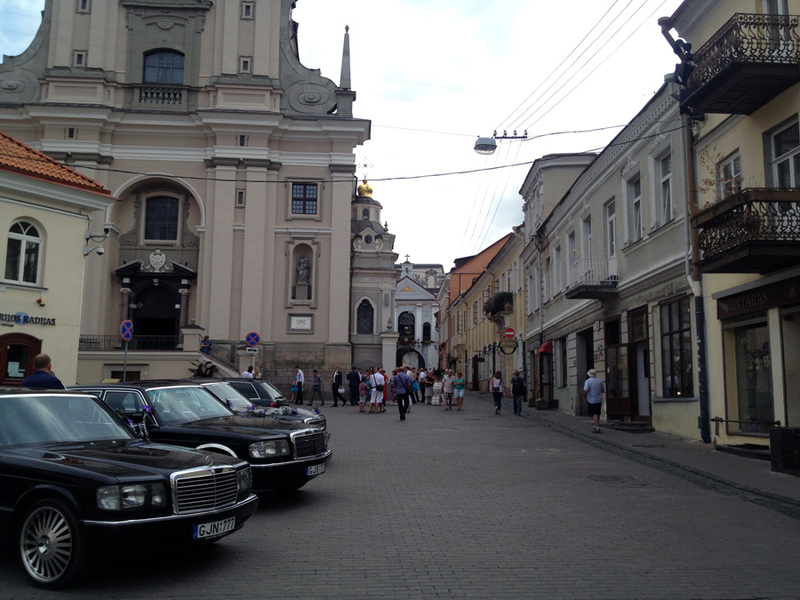 At the head of this street is a landmark church. I never learned about it but I saw many tours come to it for musical performances. Not far down this street is the Astoria Hotel, currently owned or managed by Radisson. Its website will give you a terrific idea of the street. There is also another high-end hotels somewhat across the street. There are others as well. This is definitely a great part of town and terrific street! Additionally, there are many nice places to eat or to sit outside and enjoy a coffee and the view. Heading back to Hostelgate. Notice the church at the end of the street. 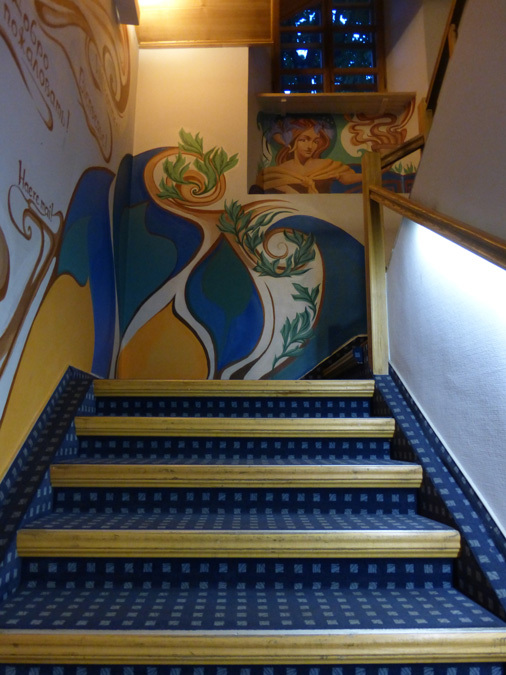 I’ll try to locate my other photos of the hostel, but the hostel’s site has great photos of it for you. 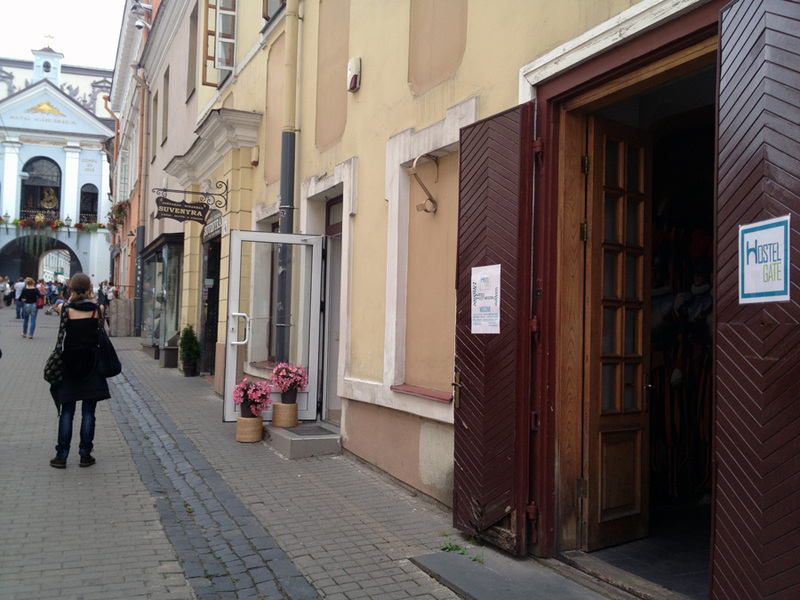 As an American who recalls Watergate, the name struck me as odd, but in reality, its name, Hostelgate, is likely named for its proximity to one of the old city gate, located immediately behind the church you see in my photos. There were several rooming options. I stayed in the 12-bed mixed dorm as it was the least costly at 33 Lita ($12.74) per night.